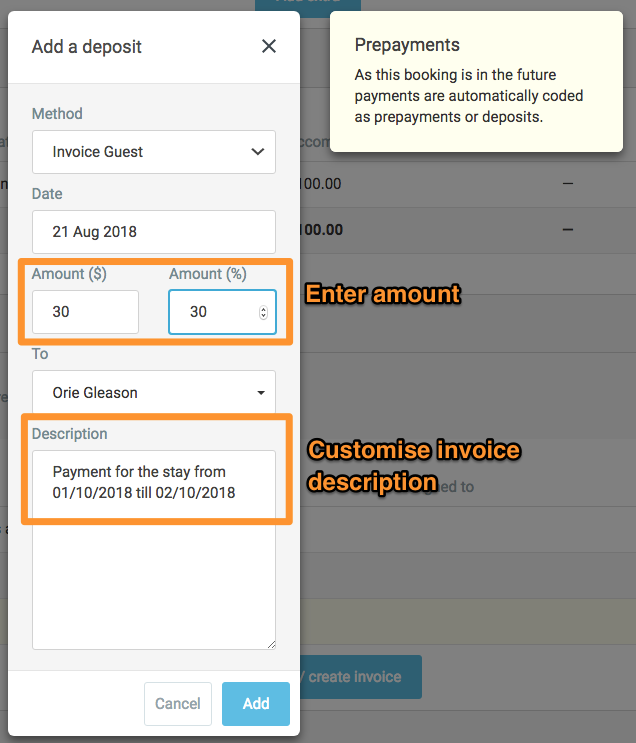 With the MYOB integration you can use the Invoice Guest deposit to request a payment from the guest. 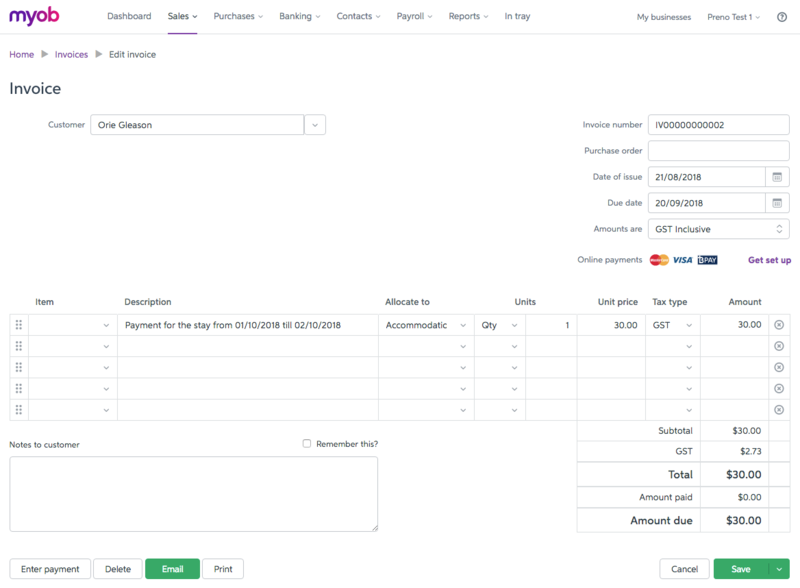 Open the reservation in Preno, and click Add deposit / create Invoice. From there, select "Invoice Guest" from the dropdown for payment method. Preno will raise a draft invoice in MYOB for the deposit amount. It will use the revenue account for "Accommodation".